Stapleton Farm is proud to be a Regional Fitting Center for EQ Saddle Science. 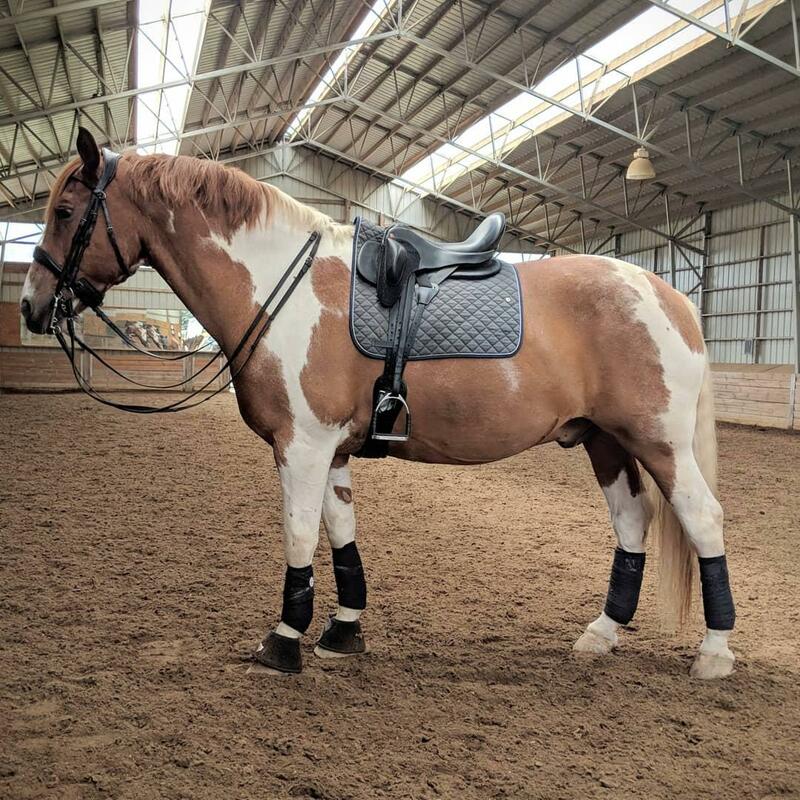 We have a variety of saddles available to try at the facility and have the ability to fit a trial saddle to your horse with our fitter Carrie Thorne. We also have several school horses available that you can ride to test an EQ Saddle Science Saddle. EQ saddle fitter Carrie Thorne is available to travel throughout the mid-west for fittings and trials of saddles. Her skill set goes beyond saddle fitting as she is a certified Equine Sports Massage Therapist, certified in Kinesiology taping through Rock Tape and a bio mechanics specialist in addition to having a wealth of equine physiology knowledge stemming from her career running a full service Rehab Facility for over 10 years. The facility at Stapleton Farm has all the amenities needed to make your saddle fitting experience productive and enjoyable. Additional details on the facility can be found on the Facilities Page. USDF Gold Medalist and FEI Trainer Ruth Hill-Schorsch is available on site for anyone wishing for feedback during saddle trials or lessons while at the facility. Overnight stalls are available for those with a longer drive. $95 to ship in a saddle for trial or no cost to use a Fitting Center Saddle if an appropriate saddle is available. "Our horses have shown a positive change in their comfort level and freedom through the shoulder in the EQ Saddle Science Saddles. Our young horses show more freedom in the walk and are more relaxed in their starting work and Allegro has improved in his shoulder freedom in the FEI work."